Jack and I had a very exciting delivery last week, something I have wanted to try for ages! 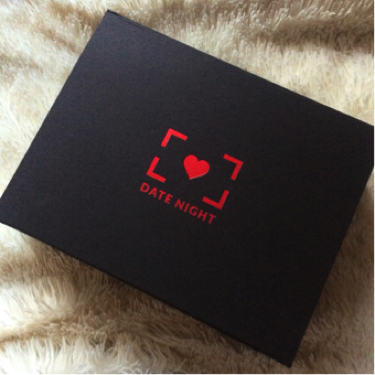 "Date night in a box" is such a brilliant concept, it means you can have a night in together, with everything provided for you. This was the contents of the box, as well as instructions on how to use it all. The box is called "Chocolate Heaven" and is inspired by the saying "life is like a box of chocolates", which is a really nice idea. I loved the personalisation of the box with the note addressed to us both, as well as how it was presented and branded. The first step was "lick n sip".. This involved melting the white chocolate buttons down, covering glasses with it, then drinking the champagne from the glasses. Covering them was easier said than done and got a little messy! 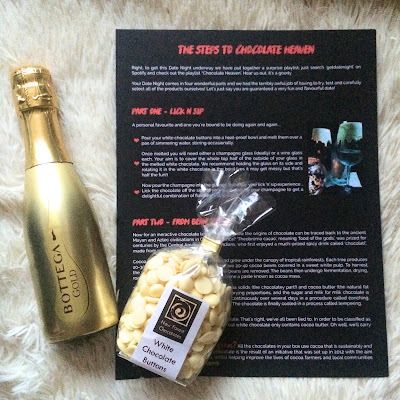 But, the combination of the sweet chocolate and champagne was really nice, which surprised me! 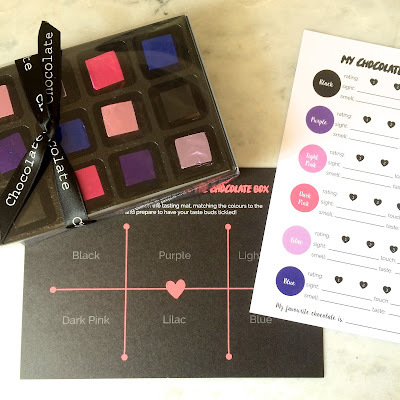 For the next step, we then had a box of dark, milk and white chocolates to taste, and they were some of the most amazing chocolates I have ever tasted. 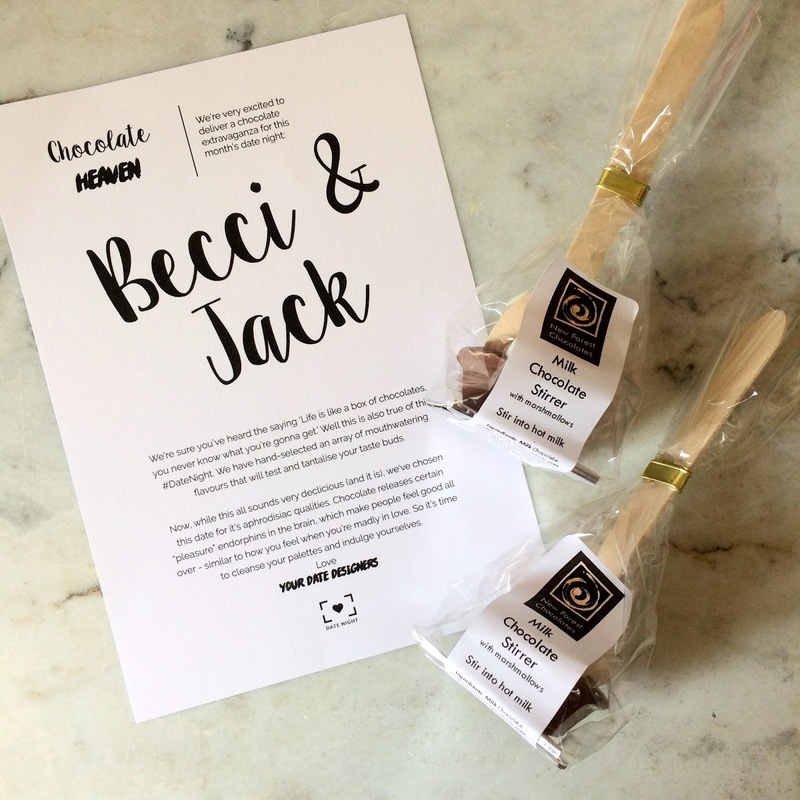 There was some background information on how the chocolate had been the result of an initiative set up in 2012, with the aim of ensuring the highest quality cocoa, whilst helping improve the lives of cocoa farmers and local communities. I think this is such a lovely detail, making the chocolate even better. The third step was a taste test. 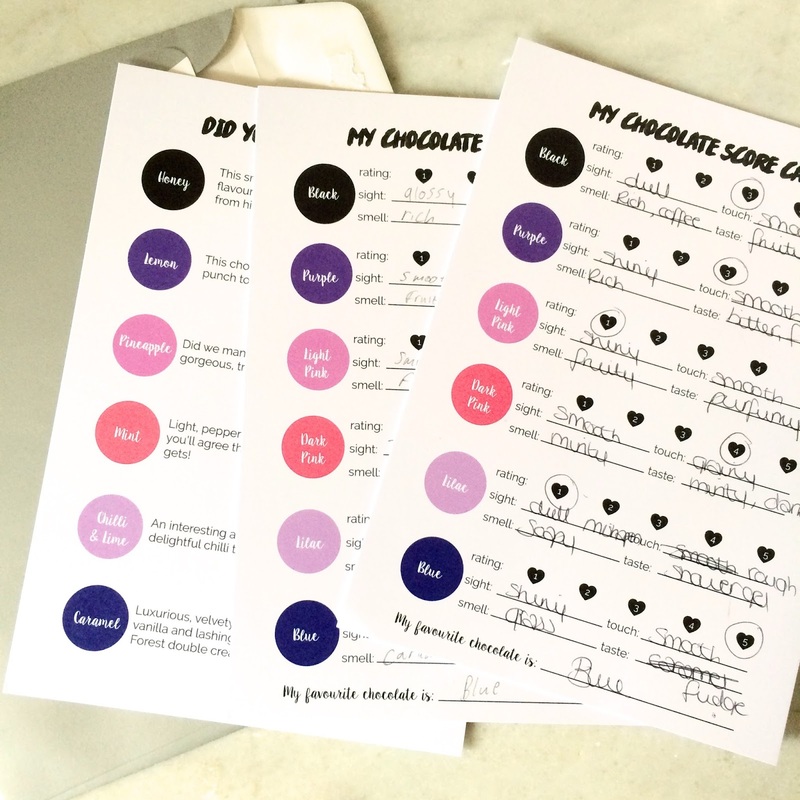 We were given score cards and mats to put the chocolate on, you had to taste each colour one by one, then write what flavour you thought it was. It was hard! We only got about two correct. It was interesting to find out what the actual flavours were at the end, I thought the chilli and lime one was shower gel! Finally, there was two hot chocolate stirrers which you stirred into hot milk. It was a really nice way to end our date night. Unfortunately, neither me nor Jack are massive fans of chocolate so we did end up feeling a little sick after. 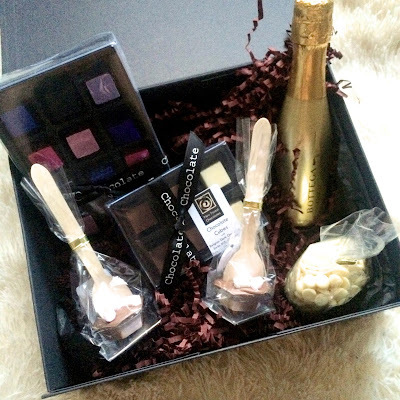 But, the whole box was so beautifully presented and it is such a great idea. We definitely want to try the next Date Night Box, it will be a lovely thing to do each month. 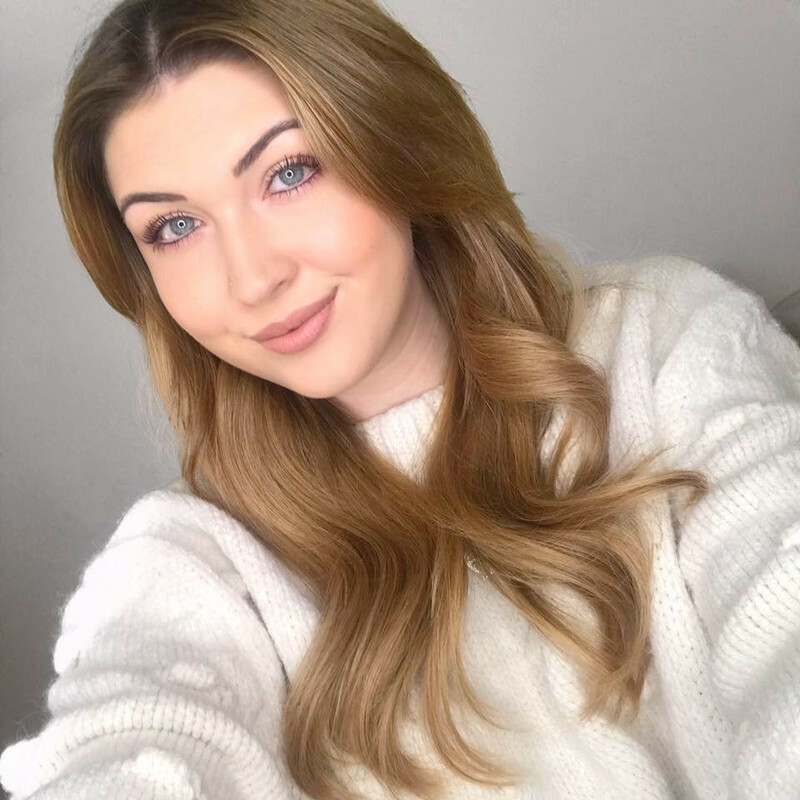 I'm not sure how much the boxes are going to be at this moment, the designers said they will be around £25-£30, which I don't think is too bad for the quality and quantity that was in the box, and it's only once a month. A massive thank you to Date Night Box for supplying us with this lovely idea. 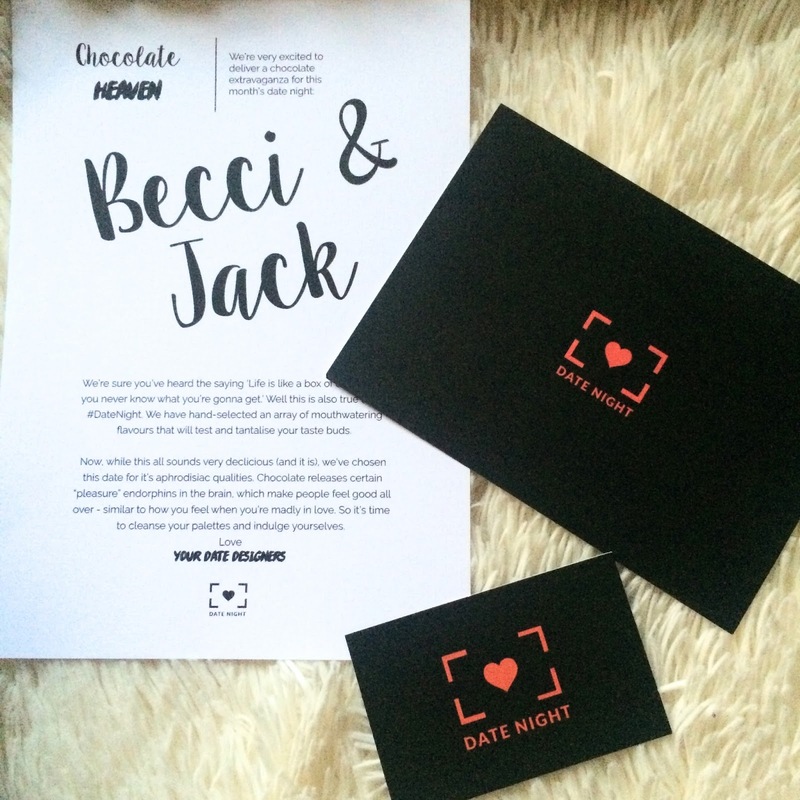 If you would like to try a Date Night Box for yourself, they are offering 50% off if you sign up before they launch..
Hope you have enjoyed this review on Date Night Box, let me know if you try it!